This particular car started life in the USA, and was imported in the mid 1990′s. After spending quite some time waiting for restoration the car finally was started and was initially in line to become a rally car. The car was fully restored, top to bottom, inside to out. 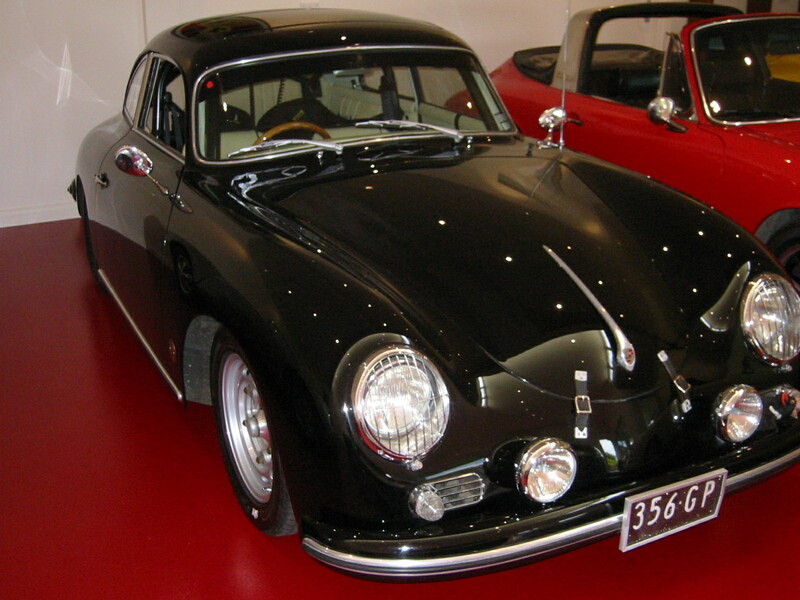 The car was also fitted with disc brakes and rare and light Technomagnesio wheels. The car is fully equiped for rallying having a full CAMS approved rollcage, speedster seats, bonnet straps, oil catch can, driving lights and internal and external cut out switches. This car has had an impressive competitive history having competed in Targa Tasmania in 2001 and 2002. It also has competed in Classic Adelaide from 20022008 winning a Targa Plate in every appearance, and earning a Platinum trophy. Currently fitted with a custom 356 ‘stoker’ engine and gearbox including a longer top (4th) gear and LSD, this car drives like no other 356 with lots of power, torque, and brilliant handling. This is the benchmark as to how all 356 cars should aspire to drive like. Price does not include the 356 ‘stoker’ motor or Technomagnesio wheels. Replacement engine and wheels will be fitted for the purchaser.